Looking for a Used A1 in your area? Audi’s A1 concept made a big impression at last year's Paris Auto show, slated as competition for other luxury brands’ compact entries, like the BMW 1 Series and the MINI Cooper. This four-door hatchback has been designed as a front-wheel- or all-wheel-drive vehicle, powered by a hybrid four-cylinder powerplant. A turbocharged 1.4-liter four-cylinder engine is mated to a 20kW electric motor that can run independently of or in concert with the internal combustion engine, depending on user selection. As a standalone, the electric motor can run up to 62 mph and can go over 30 miles before the gasoline engine would automatically kick in to recharge when the battery drops to 20%. Audi anticipates EPA estimates of around 60 mpg. While the chassis will be partially derived from VW’s European-market Polo, the A1 will take design and structural elements from many VW and Audi platforms, as part of its component module paradigm, which utilizes pieces of many platforms in concert for each model. Two six-speed transmissions should be optional, and prices are estimated to stay in the low to high 20s, depending on options. What's your take on the 2010 Audi A1? Have you driven a 2010 Audi A1? 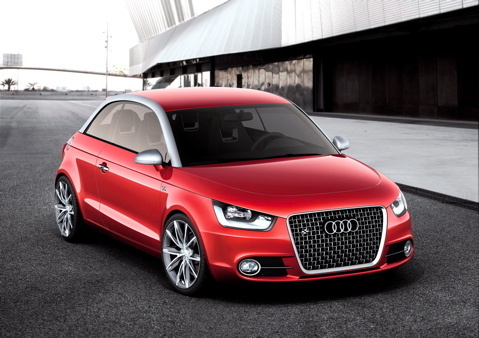 What Do You Think Of The 2010 Audi A1? What is so great about this car? Have you ever driven one?